Petersburg’s Mitkof Mummers tonight open up the first of three performances of a short funny play called “It’s Bigfoot.” A cast of about 20 people are involved and they’ve been practicing in April and May. Joe Viechnicki stopped by a recent rehearsal and spoke with director Irene Littleton along with cast members Janet Holten and Mary Leonard for a preview. 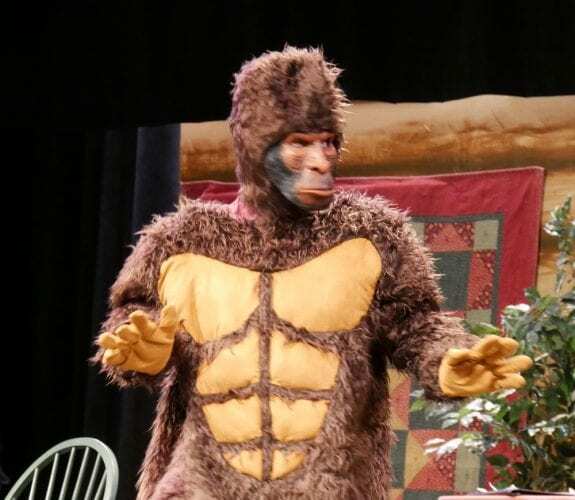 “It’s Bigfoot” will be performed Thursday, Friday and Saturday May 17-19 at 7 p.m. in the Wright Auditorium. Tickets are on sale at the door.